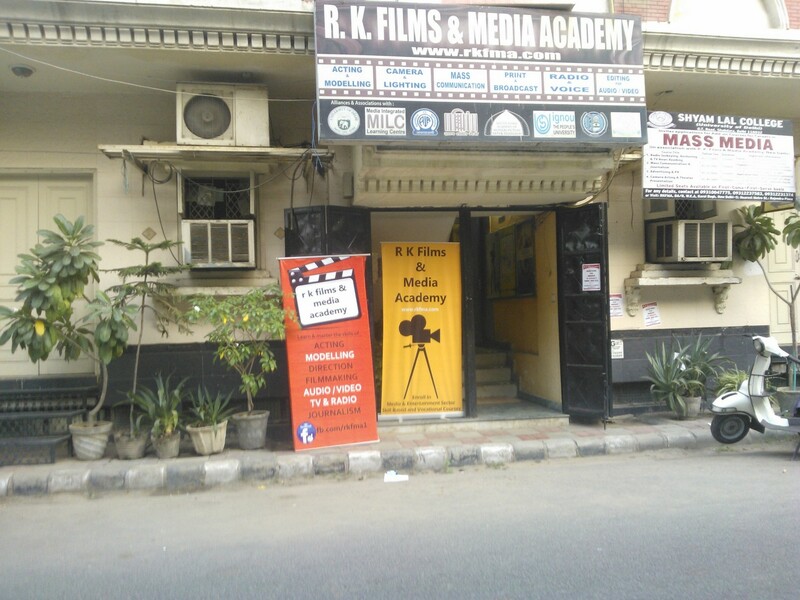 RK Films and Media Academy was founded in 1995 by Mr. N C Bansal and is affiliated to AICTE. It is located in the heart of New Delhi at Pusa Road. The institute is dedicated towards the promotion of career-oriented education to the masses and brings the multifaceted media & entertainment industry under one cover. The institute emphasizes on arranging the experienced professionals from their respective fields so that the students get on-hand practical knowledge of their stream. It offers approved degree & diploma courses in the field of Mass Communication, Journalism & Advertising. 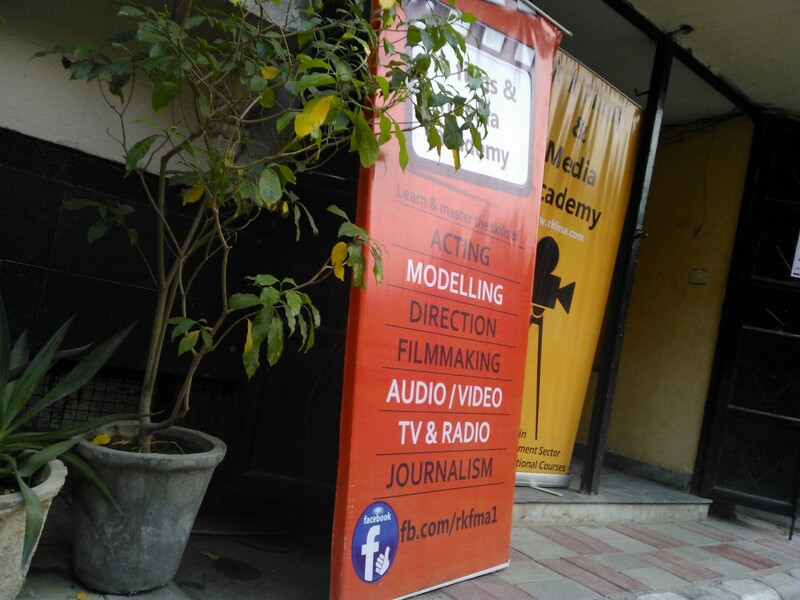 It also proffers diploma and certificate programs like film acting, anchoring, etc. The institute has a dedicated network to support the placement of the students. The faculty members consist of individuals from the media field with a vast experience in films, television & radio and print media. Passed 10+2 in any stream/subjects from a recognised Board or University. Appearing candidates may also apply. Graduation or Bachelor degree in any stream/subjects from any recognised university in India. Candidates appearing/appeared in qualifying examinations may also apply. Graduation or Bachelor degree in any stream/ subjects from any recognised university in India. Appearing candidates may also apply. Passed 10 or 10+2 examination from a recognized Board. Passed 10 or 10+2 from a recognized Board. And having basic command over Hindi or English language. Knowledge of Adobe Photoshop. Admission seekers may be animators or video editors. Students undergoing NLE video editing suites or animation may also join the training classes. Graduation or Bachelor degree in any stream/ subjects from any recognised university in India. Candidates appearing in qualifying examinations may also apply. Passed 10 or 10+2 from a recognized Board. Any individual aspirant interested in learning the real 3D animation world using Maya. Students pursuing Mass Communication, Video Editing, Visual Arts & allied courses may also join. Passed 10+2 and studying Mass Communication & Journalism under various Indian Universities. Passed 10+2 from a recognized Board. Students already pursuing graduation or Bachelor degree in any stream/ subjects from any recognised university in India can also join. Passed 10+2 in any stream/subjects from a recognised Board or University. Anyone new to the Final Cut Pro (FCP) Non-Linear Editing System, including news editors, finish editors, and producers and other broadcast personnel . And any other interested candidate may apply. Graduation or Bachelor degree in any stream/ subjects from any recognised university in India. Candidates appearing/appeared in qualifying examinations may also apply. Anyone new to the Avid Liquid Non-Linear Editing System, including news editors, finish editors, and producers and other broadcast personnel. And any other interested candidates may apply. Anyone new to the Adobe Production Studio Non-Linear Editing System, including news editors, finish editors, and producers and other broadcast personnel. And any other interest candidate may apply. Any interested candidate can apply. Any individual aspirant interested in learning the 2D Animation using photoshop & flash. Students pursuing Mass Communication, Video Editing, Visual Arts & allied courses may also join. Students interested in learning the pitch, tone variation, improving vocal speech delivery for presentation, etc. may apply. candidates can be animators or video editors. Students undergoing NLE video editing suites or animation may also join the training classe. Candidates can be the animators or video editors. Students undergoing NLE video editing suites or animation may also join the training classes. Candidates aspiring to work as studio recordists or wish to have studio recording knowledge may apply. Musicians & crowd interested in knowing the etiquettes required for working in sound studios may apply. Open to All interested candidates.